Featured is a wonderful collection of two pieces from the popular line of Dutch tableware form Boch. 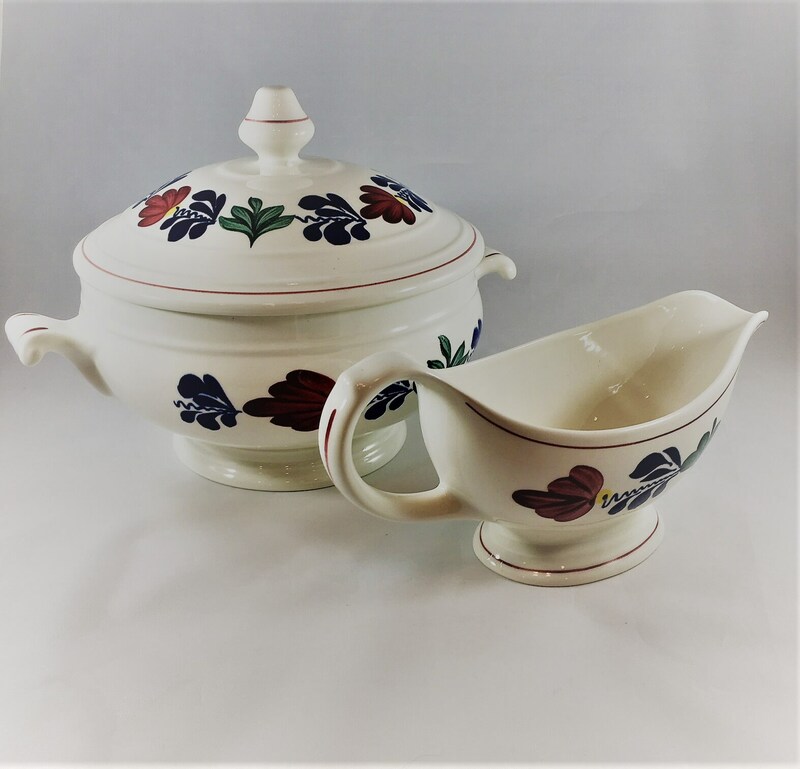 These pieces from their Boerenbont line includes a large covered bowl and a gravy boat. 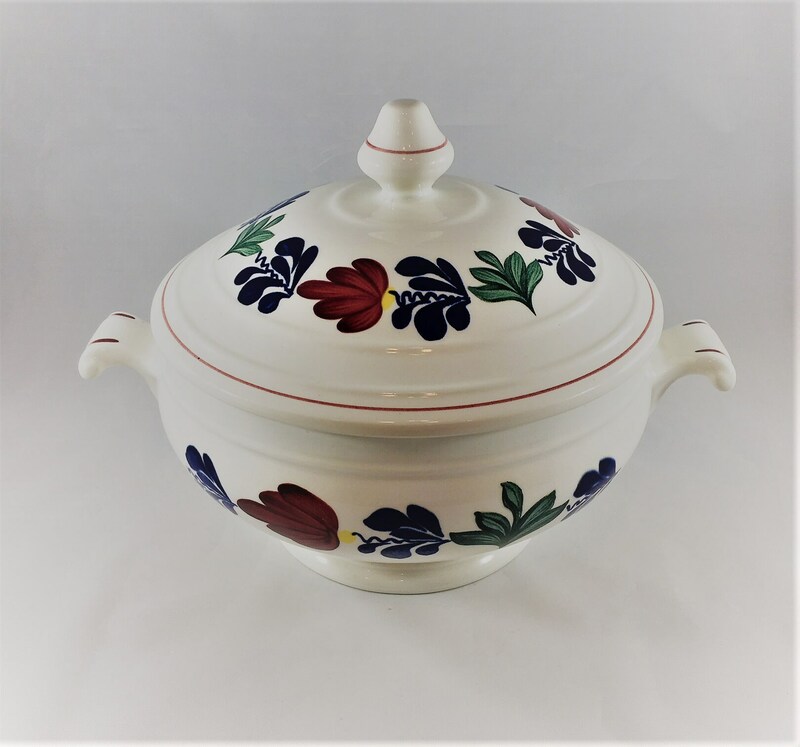 Boerenbont is a traditional pattern used on pottery from the Netherlands. Translated from Dutch, "Boer" means farmer and "bont" refers to a mixture of colors. 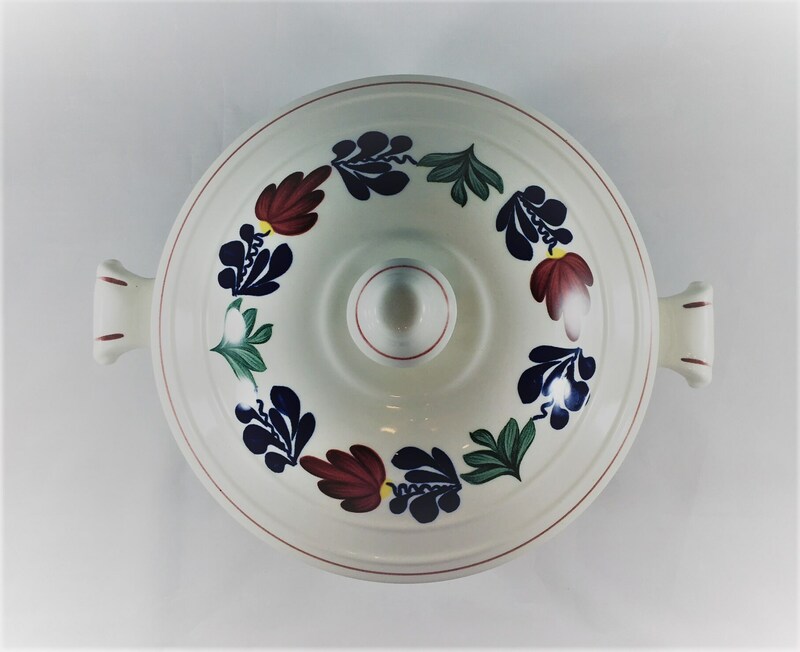 The distinctive floral pattern is hand-painted with simple brush strokes of red, yellow, green, and blue. 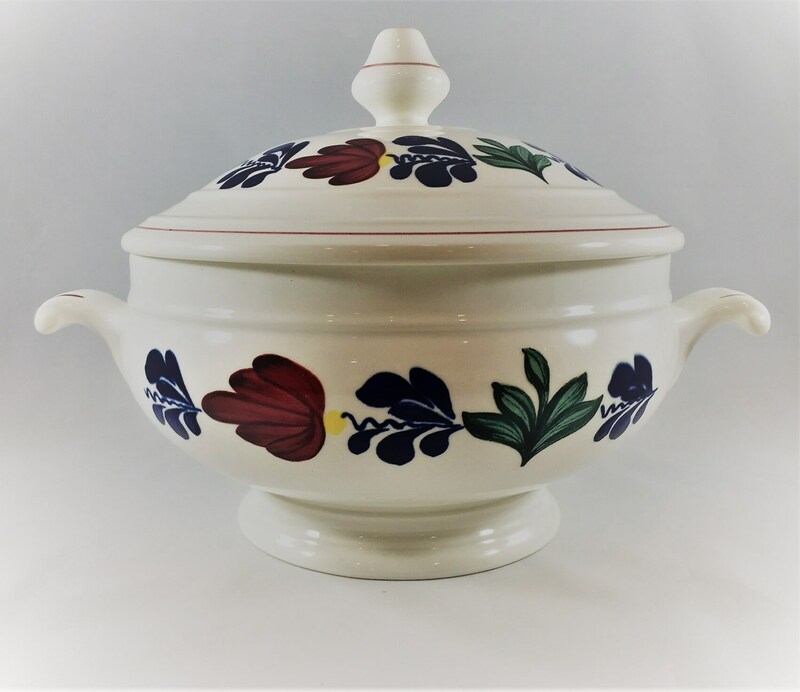 Currently manufactured by Royal Boch in Belgium, the pattern originated as a local craft made by farmers’ wives in the 19th century. 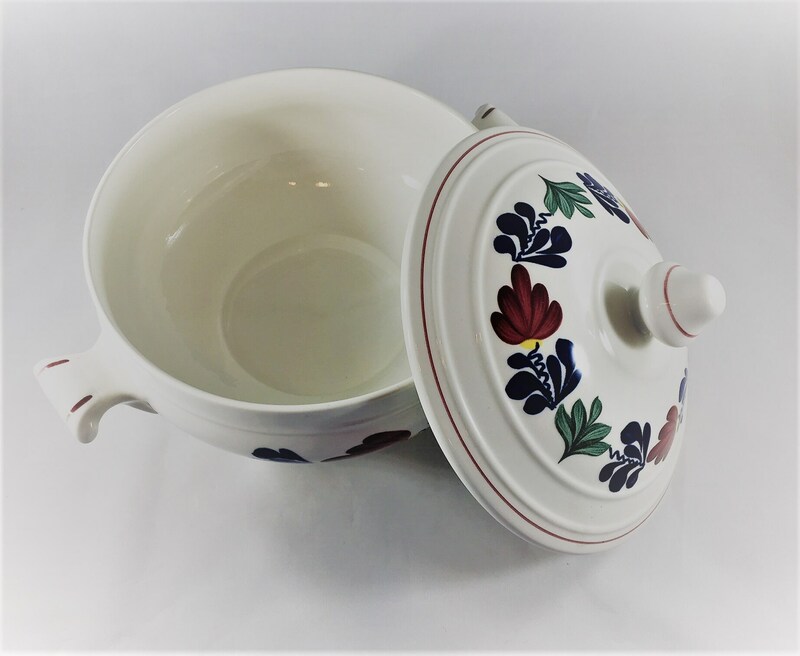 The large covered bowl has two handles and a removable lid. It measures about 10 inches across the handles and about 7 1/2 inches tall to the top of the finial. 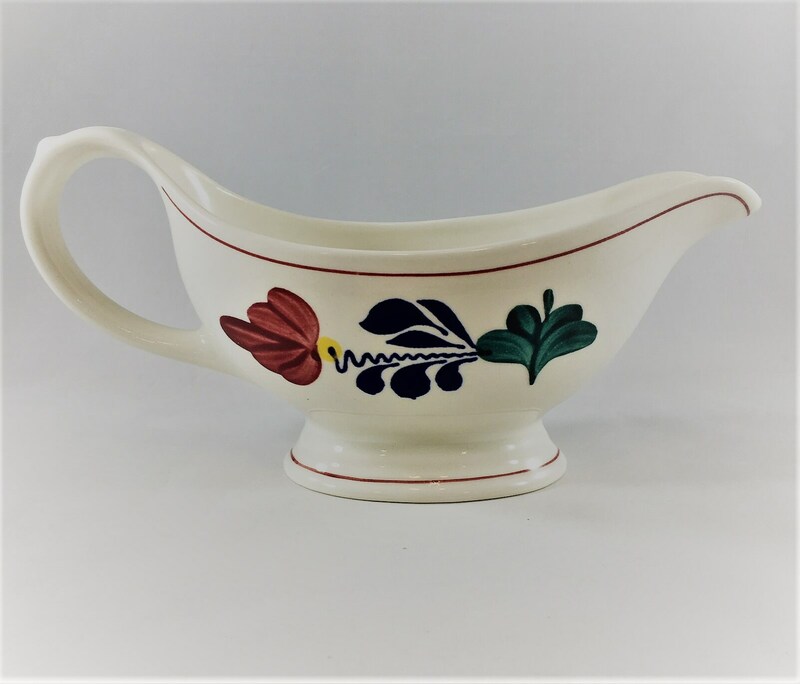 The matching gravy boat is about 9 inches long and 3 /12 inches tall. These would be perfect for mashed potatoes and gravy or stuffing and gravy at your holiday table. Both pieces are in excellent vintage condition, free from any chips, cracks, or crazing. Both pieces offered here for one low price.